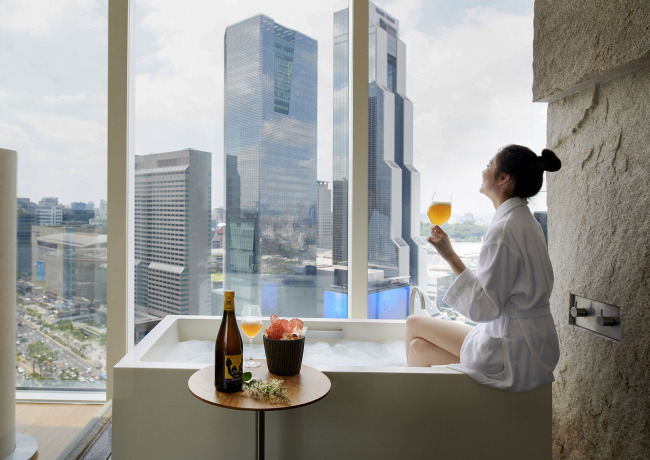 Park Hyatt Seoul presents its Summer at the Park package for guests looking for a staycation. The package includes a breakfast buffet for two people at the hotel’s Italian restaurant Cornerstone. Italian-style popcorn and beer are prepared in the rooms and guests in a suite will receive a bottle of red wine. A limited number of family guests with kids younger than 7-year-old will be provided special kids’ amenities. The price starts from 325,000 won for a standard room and 475,000 won for a suite. All guests are welcome to the hotel’s infinity pool on the 24th floor. For reservations, contact (02) 2016-1100. 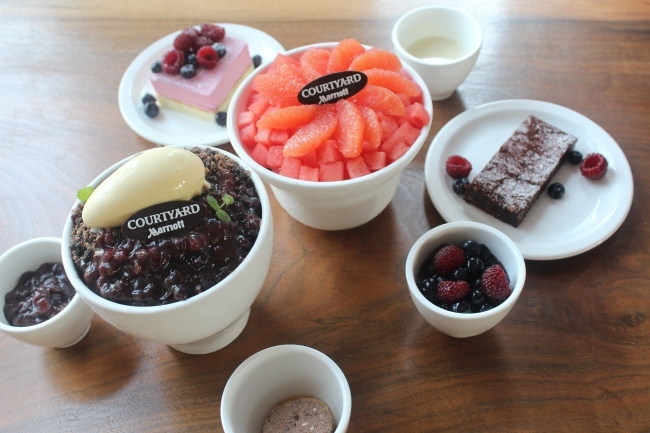 Courtyard Mariott Seoul Times Square Hotel presents a special menu of bingsu until the end of August. For those not satisfied solely by the sweet ice flakes, the bingsu dishes are served with accompanying desserts. The classic red bean bingsu is served with raspberry mousse cake. The set menu is priced at 32,000 won. Fruit bingsu complemented by fresh watermelon and grapefruit is served with a brownie and a cookie at a price of 35,000 won. The bingsu can be ordered every day from 2 p.m. to 6 p.m. at the hotel’s Momo Bar on the fifth floor. For more information, call Momo Bar at (02) 2638-3081. Hilton Busan presents its Summer Cruise Wedding Promotion from July to September. The package includes a one-night stay for the bride and the groom in the hotel’s ocean view room, luxury wedding car service and free welcome drinks for the reception party. Couples can also receive a crystal glass set from premium French brand Baccarat. For couples with 100 guests or more, 10 percent discounts on the wedding banquet and flower decorations are offered. 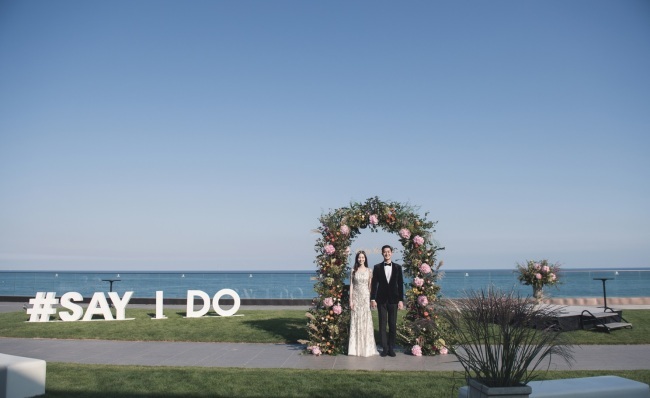 As the hotel is situated on the seashore, all the wedding halls have ocean views and are connected to the beach with screen doors. For more information, call Hilton Busan Wedding at (051) 509-1720. 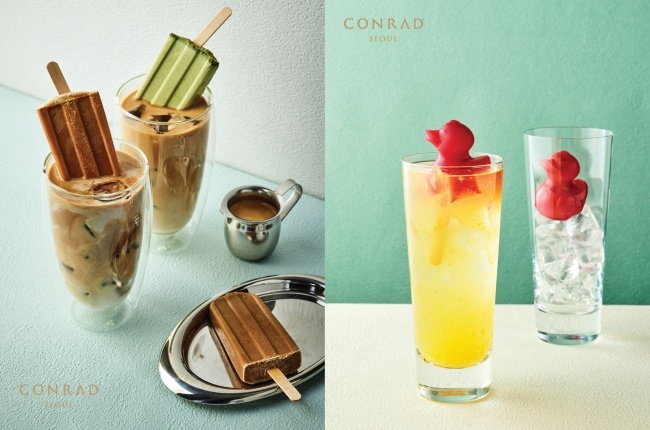 Conrad Seoul’s Cafe 10G presents new drinks for the summer season. The cafe’s signature summer drink, the Ice Bar Latte, makes a return. A homemade ice bar melts into the ice latte, creating a richer flavor. This summer, the drink takes on a flavor spin with green tea. Another drink -- iced tea mixed with yuzu and grapefruit juices -- comes with a cute rubber duck decoration on top. The duck is actually frozen berry tea sorbet. Each drink is priced at 6,600 won. For inquiries, contact Cafe 10G at (02) 6137-7788. With the “Van Gogh & Paul Gauguin Live Exhibition” being held at Yongsan IPark Mall, Seoul Dragon City presents various promotions linked to the art event. King’s Vacation lounge bar presents three art cocktails, prepared under the themes of the two artists’ paintings. Each drink costs 25,000 won. Cocktail curating service is offered for free. The Ribbon cafe offers The Starry Night Afternoon Tea set. 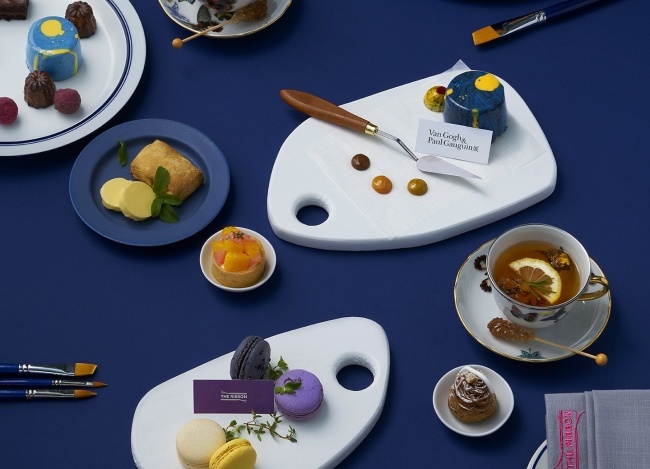 Various desserts inspired by the famous artwork of the same name are served at the price of 79,000 won for two people. Call King’s Vacation at (02) 2223-7900 or The Ribbon at (02) 2223-7950 for more information. Guests with the art exhibition ticket can receive a 20 percent discount on the promotional menu items.